The discovery was made at the A14 road project in Cambridgeshire, north of London, which is costing 1.8 billion dollars (1.5 billion British pounds). This is a major road improvement project that began in 2016. While excavating earth some roadworkers came across some charred fragments that appeared to be charcoal. The presence of charred residue, deep in the soil would indicate some sort of human activity and the fragments were passed on to some experts, who are working in the area parallel to the road works. The burned remains were given to archaeobotanist Lara Gonzalez for examination. She studies ancient plants and investigates their relationship with contemporary societies. Ms. Gonzalez used a scanning electron microscope [SEM] to examine the burnt material. The archaeobotanist is quoted by the BBC as saying that "I knew when I looked at these tiny fragments under the microscope that I had something special”. The microstructure of the fragments was of grains that had been altered by a process. It appeared that they had been altered by crushing and boiling, because of the presence of air bubbles. The residue also contains “larger pieces of cracked grains and bran, but no fine flour” reports the BBC. This was all compelling signs of fermentation and this would indicate evidence of brewing. Further investigation of the remains indicate that they date back at least two millennia. They may even date to 400 BC, when the British Isles was ruled by a series of Celtic tribes. If this is the case, then it is the earliest evidence of beer-making in Britain. It is known that ancient populations have been brewing beer for at least 6,000 years and the first recipe of the beverage is from a Sumerian poem that is over 4,000 years old. In the past this beverage was brewed to provide people with a safe drinking source. The water supplies in pre-industrial societies was often tainted or contaminated and this was a major health hazard. 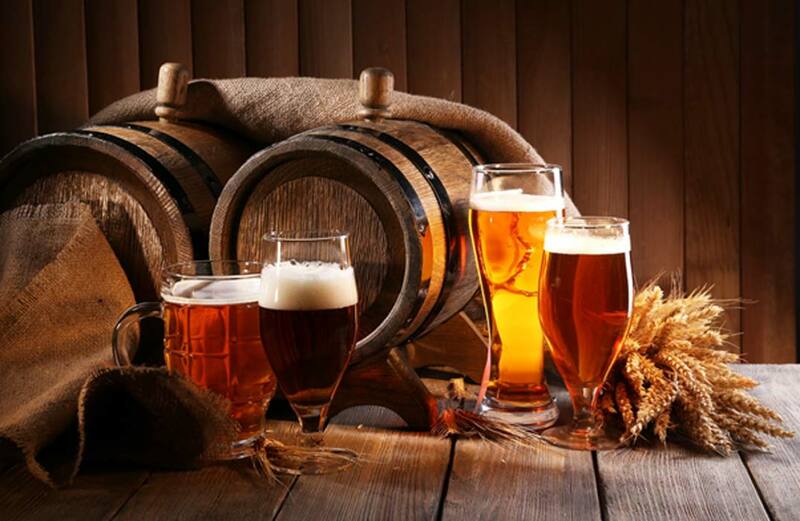 Ancient societies brewed beer so that they had a safe way to hydrate as the fermentation process would destroy harmful bacteria. The residue indicates that the beer was probably made from grain, most likely barley. The local area is well known for its barley and it is famous throughout the world. Hops were not available for brewing until the Middle Ages and so herbs may have been used to give the beer a better taste. According to the Guardian, local Celtic tribes would often brew “a type of beer called curmi” before the coming of the Romans. There were other finds of organic remains made in the area. They were of grains that had been mashed and cooked. It seemed that in ancient Britain that grains played a very important role in the diet. Much of it was consumed in a form of porridge or as bread but much was probably also used to make beer. The roadworks has produced an astonishing number of archaeological finds. In conjunction with the A14 roadworks over 200 archaeologists have “been working on the project, investigating 33 sites across 360 hectares, making it one of the UK’s largest archaeological projects” reports the Guardian. There have been finds made here from the Ice Age to the Anglo-Saxon era and entire ancient villages have been found during the excavations. It is expected that many more discoveries are going to be made at the site in the near future and this will provide invaluable insights into life in ancient Britain over many millennia. Top image: Beer brewing in ancient England. Source: Africa Studio / Adobe.